The platform built by industry experts designed to help, support, advise and guide small businesses and entrepreneurs to success. Passport 2 Success is here to give you the tools and support you need to get your business to the next level. 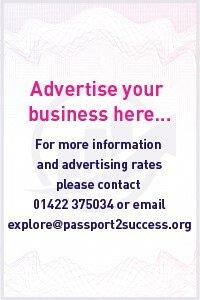 Passport 2 Success is powered by Wright Angle Marketing, a successful marketing agency with almost 20 years’ experience of getting results working with businesses just like yours. Well, don’t worry you aren’t alone in having those thoughts. Then you have definitely come to the right place we are ready and waiting to work with you to get extraordinary results. Then walk on by, this opportunity is not for you. If after 3 months taking action and using Passport 2 Success as a full member you haven’t seen an increase in customers and sales*, we will work with you on your business FREE OF CHARGE until you do. Now that’s worth smiling about! Judith Wright founder of Wright Angle Marketing has almost 30 years of experience in the world of marketing and business development. She has run multiple businesses and is the author of Proven Strategies for Success. The idea for the creation of Passport 2 Success came about as Judith was acutely aware that the world of marketing and business growth can be a lonely minefield for solopreneurs, entrepreneurs and small business owners. People go into business because they have a passion for their area of expertise, and suddenly they have to become experts in everything, and it’s not that easy! As many small businesses don’t have the funds to get other people to do things for them they need access to effective information to help them to do it themselves. Passport 2 Success has been designed to help them do just that. This project is a legacy for small businesses, to pass on the knowledge that has been amassed over years of experience. To provide a resource that carries the tools and knowledge that business owners need to attract customers and generate sales using tried and tested methods. The resource is added to on a weekly basis so that all the latest information is available to keep you at the cutting edge of the latest marketing vehicles. In addition, there are lots of other tools to help businesses succeed. We provide destinations, videos, blogs, podcasts, news, forums, take off days and more. Buckle up, initiate launch and start your journey to successs with access to industry experts and the latest know-how which is proven to get results.